The Edge Makes a Class Visit! 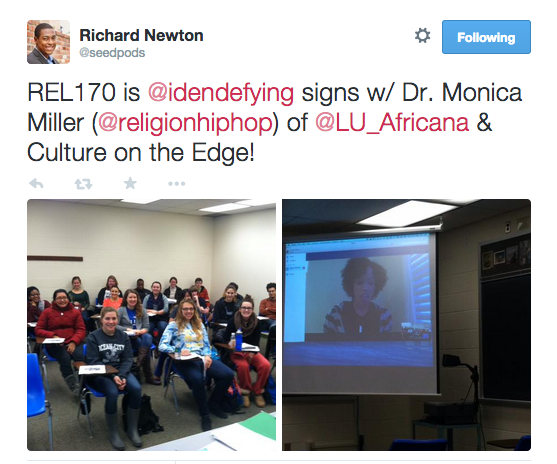 The Edge’s Monica MIller (pictured right) visited Prof. Richard Newton‘s REL 170 Signifying Religion: An African American Worldivew course at Elizabethtown College this morning via skype. After seeing her blog post “What Gang Do You Claim?“, Prof. Newton invited Miller to skype with his class to analyze the category of “religion” and theorize about the idea of African American religion(s) and identity formation using her blog post as a primary example. As we’ve seen on Twitter, the class visit was a huge success! A big thanks to Prof. Newton for bringing the Edge to class! 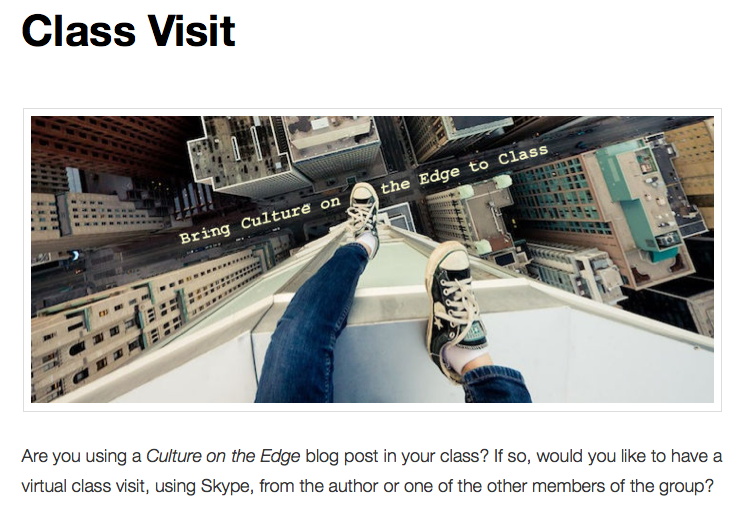 For more information about Class Visits with Culture on the Edge, click here. Culture on the Edge in the news — Kat Daley-Bailey took us up on our class visit invite and wrote an article on her first experience using Skype in class.